Dennis Quaid & The Sharks first-ever studio album. Dennis Quaid & The Sharks origins can be traced to a night when Quaid went to see actor Harry Dean Stanton and his longtime band perform in Los Angeles. Quaid was invited to join the band onstage. 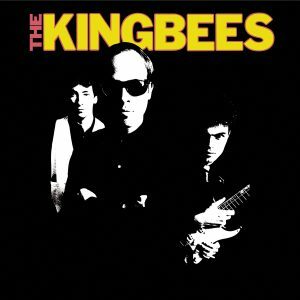 At first reluctant, because of his decade-long layoff from music, Quaid finally acquiesced, and his performance sparked a musical kinship between Jamie James—guitar player in Stanton’s band and the Kingbees’ front man—and Quaid that led to them forming their own band. James quickly began recruiting others for the band and it wasn’t long before Dennis Quaid & The Sharks were performing on the L.A. club circuit. Quaid was certainly no stranger to either the recording studio or the stage being a seasoned actor and having cut songs for soundtracks to his movies dating back to the ’80s with contributions to soundtracks like The Night The Lights Went Out In Georgia, Tough Enough, The Big Easy, and more. Among Quaid’s musical heroes you’ll find Buddy Holly, Hank Williams, Willie & Waylon, Johnny Cash, The Beatles, The Doors, James Brown, and more. 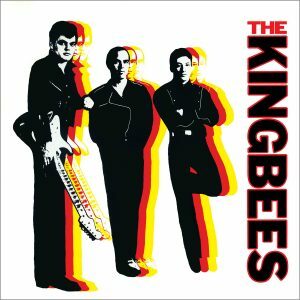 With influences like those, it’s no surprise that members of The Sharks have serious musical pedigrees of their own with Jamie James having led The Kingbees; and Sharks, Tom Mancillas, Ken Stange, and Tom Walsh having worked over the years with artists as varied as Harry Dean Stanton to Roger Miller, Tina Turner, Joe Cocker, Supertramp, America, and more! 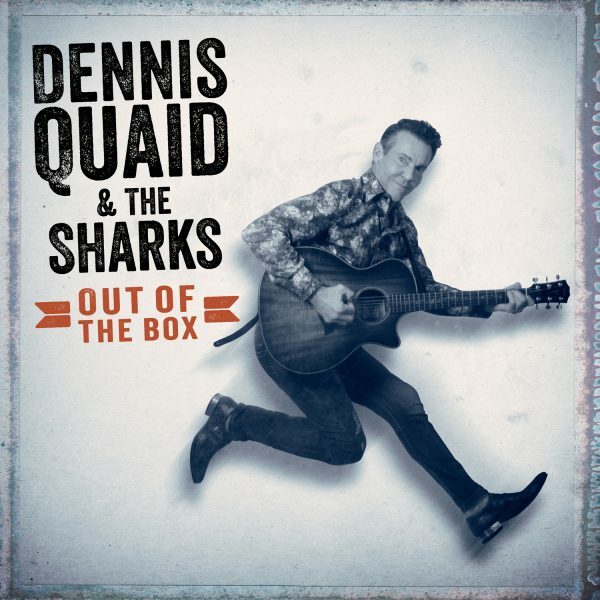 Now, Dennis Quaid & The Sharks have made the first studio album of their 18-year history, Out Of The Box, and on it you’ll find they specialize in “rock ’n’ roll and country-soul,” or as Quaid calls it, “a junkyard of American music.” The album is produced by Dennis Quaid and Jamie James. Cut at the legendary Village Studios in Los Angeles, listeners will find an album filled with original songs by Dennis Quaid sitting alongside choice covers by The Doors, Van Morrison, and Larry Williams. On stage, or now, on record—Dennis Quaid & The Sharks are coming at you and finally busting Out Of The Box!